The public must realize that the Government has been lying for over 40 years, that MILLIONS of lives could have been saved and that the dying could grow the cure they need in their backyard. The Government lied for many reasons. 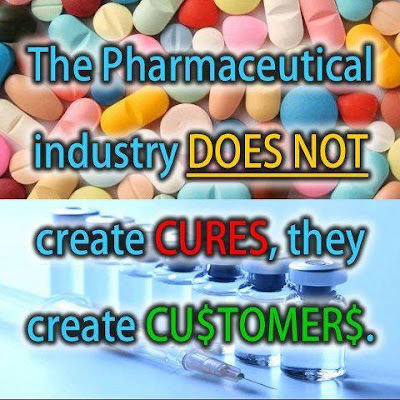 One of the main reasons is Pharmaceutical Companies. They spend billions every year lobbying to keep Cannabis illegal because they make TRILLIONS off Cancer drugs and research. They are already well aware that cannabis cures cancer. (Can they legally patent a 15,000 year old plant?) They have a great con going at the moment. Cancer patients and their loved ones will spend their entire life savings or even sell their houses and businesses in order to pay for Chemotherapy and other Cancer treatment drugs. A lot of the time they spend all that money and their loved one dies anyway. If you want to know more, you should Google 'cannabinoids and cancer'. You will see that there are hundreds of published scientific studies, articles, books and documentaries on the subject. 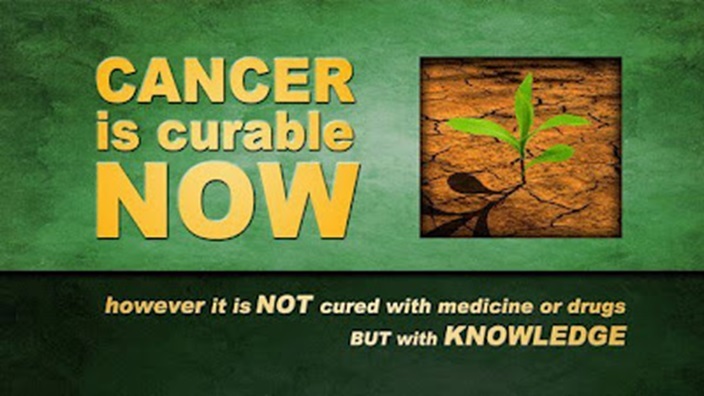 CANCER is curable NOW: However, it is NOT cured with medicine or drugs BUT with KNOWLEDGE. In this new documentary, 30 prominent doctors and scientists are getting together, to raise awareness of how Cancer is Curable NOW! The most powerful tool in anyone's hands is information. The complete movie covers -in great detail- the different kinds of natural treatment options and the influence of our emotions and mind on our body. It emphasizes self-responsibility and the role it plays on the journey to health. Watch the trailer below and order the full movie on DVD. The Beautiful Truth: Raised on a wildlife reserve in Alaska, 15-year-old Garrett was interested in the dietary habits of the farm animals. After the tragic death of his mother, Garrett's father decided to home-school his son and assigned a book written by Dr. Max Gerson that proposed a direct link between diet and a cure for cancer. The Gerson Miracle: examines many of the elements of the Gerson Therapy, explaining why we are so ill and how we have in our grasp the power to recover our health without expensive, toxic or mutilating treatments, using the restorative forces of our own immune systems. 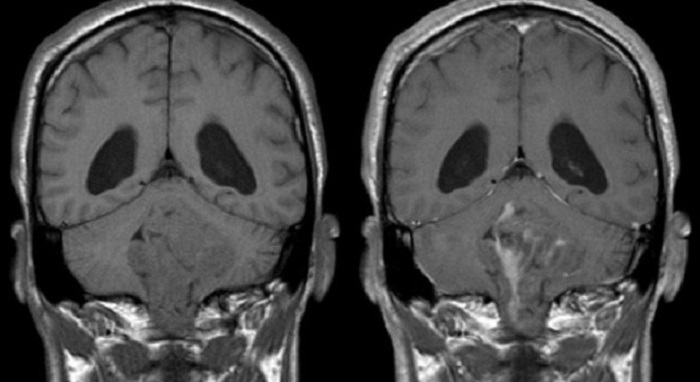 Even the most advanced cases of cancer can be successfully reversed using this method. While the results seem miraculous, the real "miracle" lies within our own body and its healing processes. The Cancer Report: This documentary catalogs how allopathic medicine established dominance in the early part of the 20th Century, and how natural medicines were arbitrarily banned from the medical profession, despite the basis of this decision being scientifically unsound. The wholesale transition from natural medicines to chemical ones was based on financial and political reasons, at the expense of patients. In addition, it exposes the carnage of the cancer industry, the financial interests that molded it, and why it is so resistant to change. Meanwhile, cancer treatments kill more people every year than any war in U.S. history. 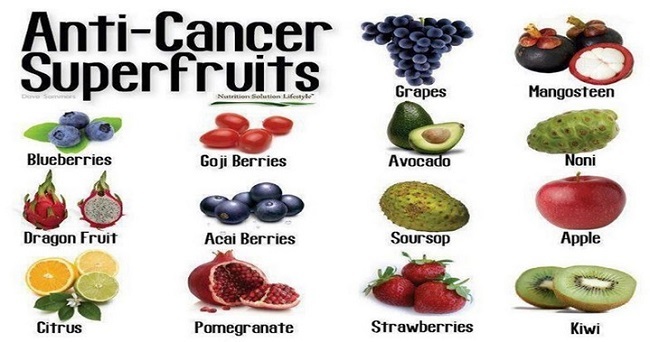 In the last 100 years dozens of doctors, scientists and researchers have come up with the most diverse, apparently effective solutions against cancer, but none of these was ever taken into serious consideration by official medicine. Most of them were in fact rejected out-front, even though healing were claimed in the thousands, their proposers often being labeled as charlatans, ostracized by the medical community and ultimately forced to leave the country. At the same time more than 20,000 people die of cancer every day, without official medicine being able to offer a true sense of hope to those affected by it. Why? The Rockerfellers, The FDA & The Cancer Industry: a short documentary that explains the Rockefeller Family influence on health care industry, and particularly how SAFE alternatives have been silenced in favor of chemotherapy, radiation and surgery. “I had a brain cancer specialist sit in my living room and tell me that he would never take radiation if he had a brain tumor. And I asked him, 'but, do you send people for radiation?' and he said, of course. 'I'd be drummed out of the hospital if I didn't. '” -Dr. Ralph Moss, Ph.D.
Cancer is Serious Business: The trillion dollar cancer industry has been waging an illegal and immoral war on Dr. Stanislaw Burzynski for years, attempting to stop him. That's right, STOP him, from saving the lives of cancer sufferers through the use of his patented breakthrough therapy, which uses a natural and non-toxic substance called antineoplastons. This movie tells the story of how Dr. Burzynski, and the patients his therapy has cured of what are normally terminal cancers, have fought the FDA and the big drug companies who have continually and systematically tried to discredit and punish a man who's only purpose in life has been to develop and perfect a life-giving and non-toxic cure for the disease of the 20th century. Harvard study shows that THC actually activates naturally produced receptors to fight off lung cancer. The researchers suggest that THC or other designer agents that activate these receptors might be used in a targeted fashion to treat lung cancer. *HERE IS THE INTERESTING PART* The only clinical trial testing THC as a treatment against cancer growth was a recently completed British pilot study. For three weeks, researchers injected standard doses of THC into mice that had been implanted with human lung cancer cells, and found that tumors were reduced in size and weight by about 50 percent in treated animals compared to a control group. There was also about a 60 percent reduction in cancer lesions on the lungs in these mice as well as a significant reduction in protein markers associated with cancer progression. Tommy Chong of "Cheech and Chong" fame says he will treat his recently diagnosed prostate cancer with Rick Simpson's hemp oil, after he watched the documentary: RUN FROM THE CURE. 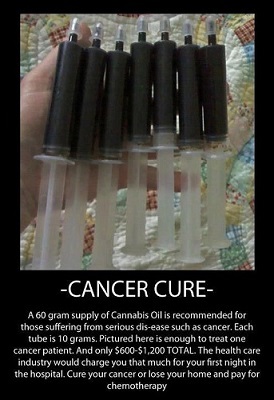 Proof Marijuana (THC) CURES Cancer! Cancer patients with no treatment at all, statistically live four times longer and have a better quality of life. The Cancer Report also catalogs the histories and procedures of the most popular alternative therapies, which generally have significantly better success rates than standard treatments. Alkaline foods are the best way to maintain optimum health and the best form of Cancer prevention. Key thing to remember: 80% Alkaline (1/2 Raw), 20% Acid! Find more info and a detailed chart with alkaline foods.